This is big, guys. 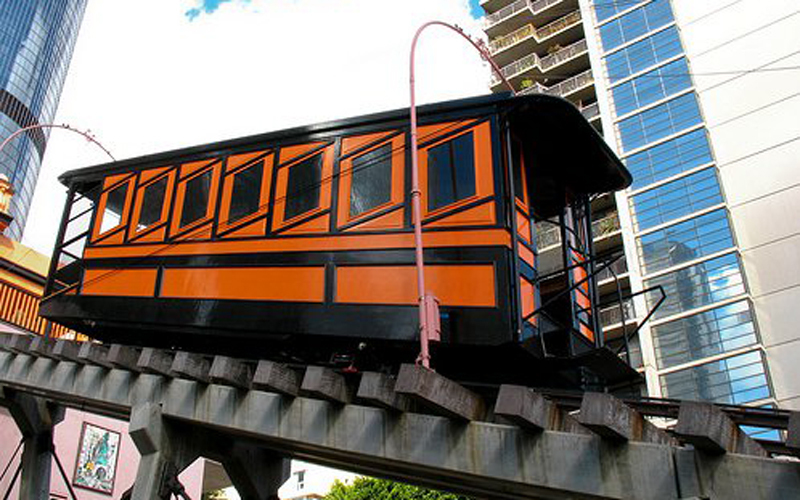 Angels Flight—that long-defunct, deeply beloved orange funicular between Grand Central Market and Bunker Hill downtown—is finally, finally making its return. Mayor Eric Garcetti and Councilman Jose Huizar were present this afternoon to announce the historic mini-railway’s reopening (it was shut down in 2013 after a series of accidents). It’s set to reopen on Labor Day, which, honestly, is longer than any of us want to wait to fully experience the city like Ryan Gosling and Emma Stone, but hey, we’ll take it. Kim Cooper and Richard Schave—founders of Esotouric and perhaps Angels Flight’s most vocal devotees—have been gunning to get the funicular operational again for years, launching a Kickstarter campaign in 2015 that has finally paid off. They were on site live-tweeting the announcement. Angels Flight operators agreement in effect until 2047! Thomas Harlander is a staff writer at Los Angeles magazine. You can follow him on Twitter and Instagram. He recently wrote: Here’s Why Basically Everyone Thinks Measure S Is Bad for L.A.